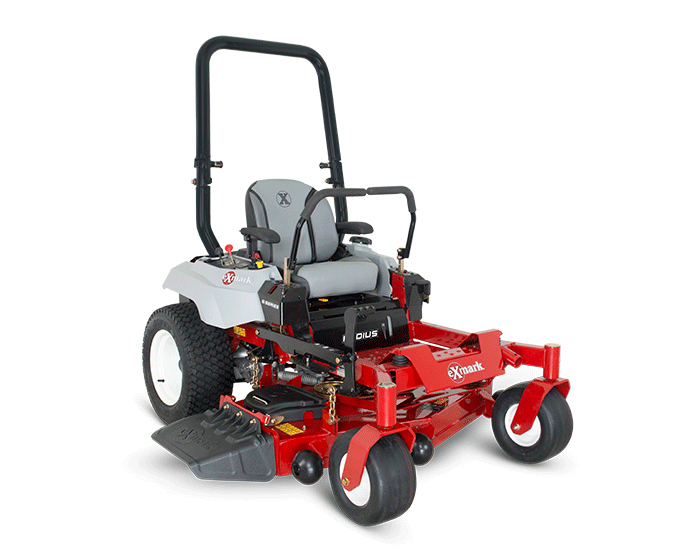 Exmark Radius E Series Zero Turn Rider RAE708GEM60300 is equipped with a powerful Exmark 24.5 HP, 708cc V-twin engine and 60’’ UltraCut Series 3 deck that is perfect for lawn care professionals that have a lot of grass to tackle. With features like maintenance-free spindle assemblies, a heavy-duty unibody frame, and a high back seat with padded seat cushions this model combines unbeatable performance with driver comfort. Need help deciding if this is the right product for you? Check out our buyer's guide on choosing the right zero turn rider for your needs. Transmission Type : Dual Hydro Gear ZT3100, hydrostatic transmission with charge pumps, relief valves and independent, replaceable filters.